TULSA, Oklahoma – (Nov. 19, 2018) – Seven-time Grammy Award-winning singer and Checotah-native Carrie Underwood was inducted into the Oklahoma Hall of Fame’s 91st class at the official ceremony on Thursday, November 15, 2018, at the Renaissance Tulsa Hotel & Convention Center. Induction into the Oklahoma Hall of Fame is the state’s highest honor with 698 individuals that have been recognized since the first class in 1928. 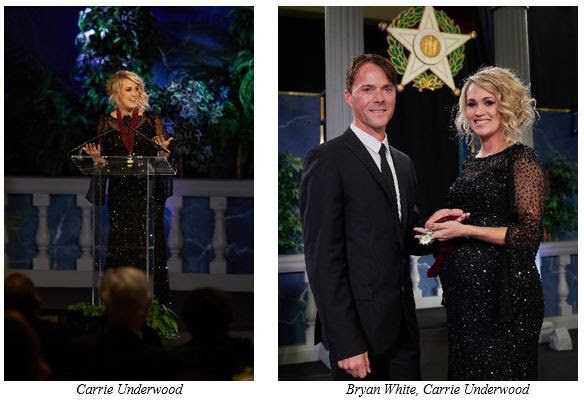 Underwood’s friend and fellow Oklahoma-born country artist Bryan White presented her with this honor. 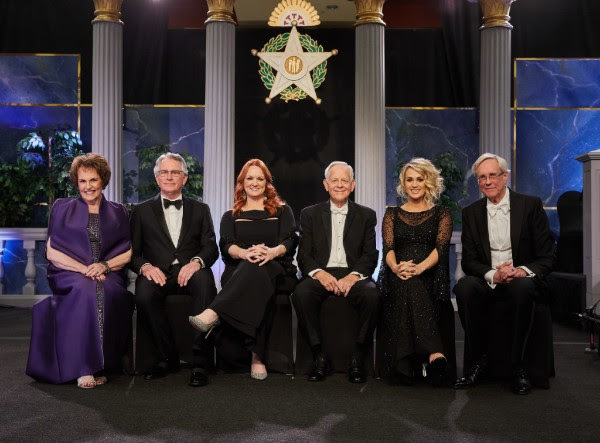 Others in the 91st class include Jon R. Stuart, Mo Anderson, Paul Allen, Charlie Christian, David Rainbolt, and Ree Drummond. This ceremony took place fresh off her 5th win for “Female Vocalist of the Year” at the CMA Awards, which Underwood co-hosted the night prior with Brad Paisley for the 11th consecutive year and performed her hit single “Love Wins.” Underwood released Cry Pretty, her first studio album on Capitol Records Nashville, on September 14. In Spring 2019, Carrie will launch The Cry Pretty Tour 360, which will kick off in May and will play 55 arenas across the U.S. and Canada.